Tuesday's rain in Mumbai delayed services on the heavily used local train network, a rail official said, while road traffic was also disrupted by flooding. 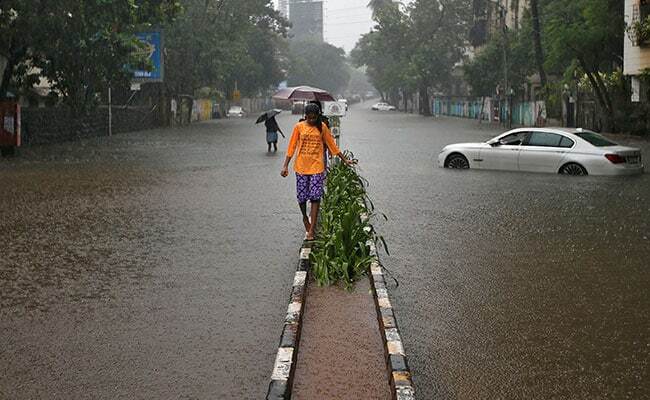 Torrential rain lashed Mumbai for the second time in weeks on Tuesday, flooding low-lying areas and paralysing rail, road and air traffic in the country's financial hub. Schools and colleges have been shut today. The Met Office, which has predicted more rain in the next 24 hours, said the "worst is over". "We have removed warning (for heavy rainfall), intermittent rainfall likely over city and suburbs for next 48 hours," a senior weather official said. Flight operations, however, remained affected at Mumbai airport; a total of 56 flights have been diverted as the main runway is not yet operational. "The main runway has been closed for operations and there are delays in arrival and departure of flights due to fluctuating weather," said a senior official at the Mumbai airport. Tuesday's rain delayed services on the heavily used local train network, a rail official said, while road traffic was also disrupted by flooding. Commuters stuck at various stations since last night due to disruption of suburban train services were seen making their way home this morning as the situation improved overnight. Five Western Railway trains have been cancelled due to heavy rain; most running at restricted speed. Heavy waterlogging was reported on tracks between Vasai and Virar. 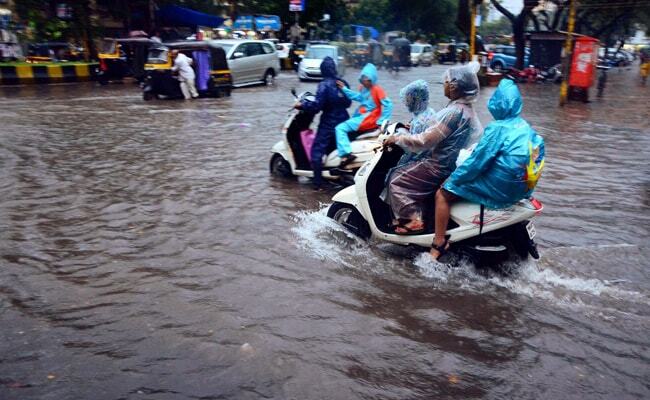 Mumbai recorded 210 mm rainfall, suburb 303 mm in the last 24 hours till 8:30 am today. Warnings continue but situation is improving, keeping a close watch, said a senior weather official. There is a high tide warning at 12.03 pm of 4.54 metres for today, they added. After forecast of heavy rain, Maharashtra's Education Minister Vinod Tawde in a tweet advised all schools and colleges in the city to remain closed on Wednesday. 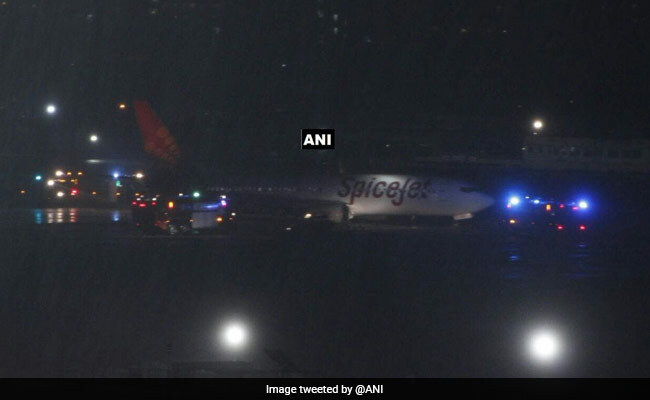 The Met office, which has predicted more rain in Mumbai over the next 24 hours, said the "worst is over"
Low visibility, strong winds and slippery conditions on Tuesday night caused the SpiceJet flight to overshoot while landing and skid onto the grass. 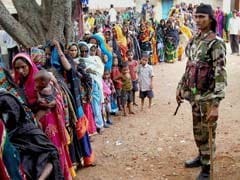 The airline said all 183 passengers on the flight from Varanasi were safe, but the incident led to widespread disruptions. The aircraft is still stuck on the runway and efforts are on to tow it away to a bay, the official said. Other air carriers - Indigo, Jet Airways and Vistara - have issued advisories saying they had halted all flights to and from Mumbai due to unavailability of runways and bad weather conditions. The iconic 'dabbawalas' of Mumbai have cancelled their delivery of over two lakh tiffins to office goers in the city. "The over 5,000 'dabbawalas' who deliver around two lakh 'dabbas' (tiffins) a day won't be able to do so today as they returned only this morning after being stranded at railway stations," Subhash Talekar, spokesperson of the Mumbai Dabbawala Association said. 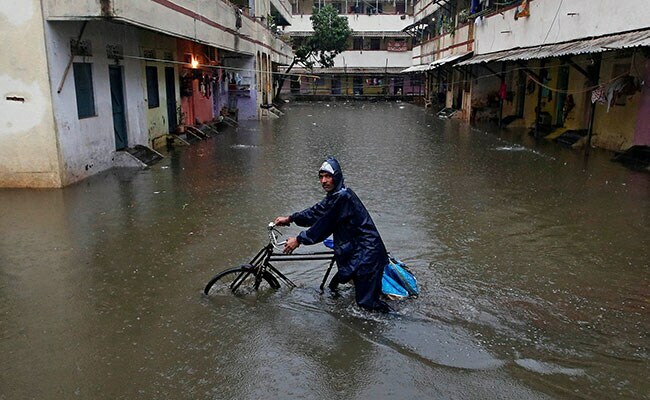 A deluge in Mumbai last month killed 14 people, wrecked homes and caused chaos in the city of 20 million people. Unabated construction on floodplains and coastal areas, as well as storm-water drains and waterways clogged by plastic garbage have made the city increasingly vulnerable to storms. Floods in 2005 killed more than 500 people in the city.